Discover your next favorite song, album, or artist — without ever hearing an ad. Play anything in the vast 40-million-song catalog, along with your entire iTunes library. 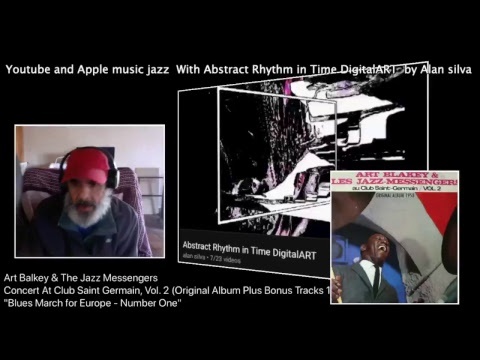 Playing Apple music jazz With Abstract Rhythm in Time DigitalART by Alan silva go to the links below and paste them in a new page and you can listen to the music in preview or you can take a prescription in Apple music, thank you. Alan Silva - Enjoy the ART!